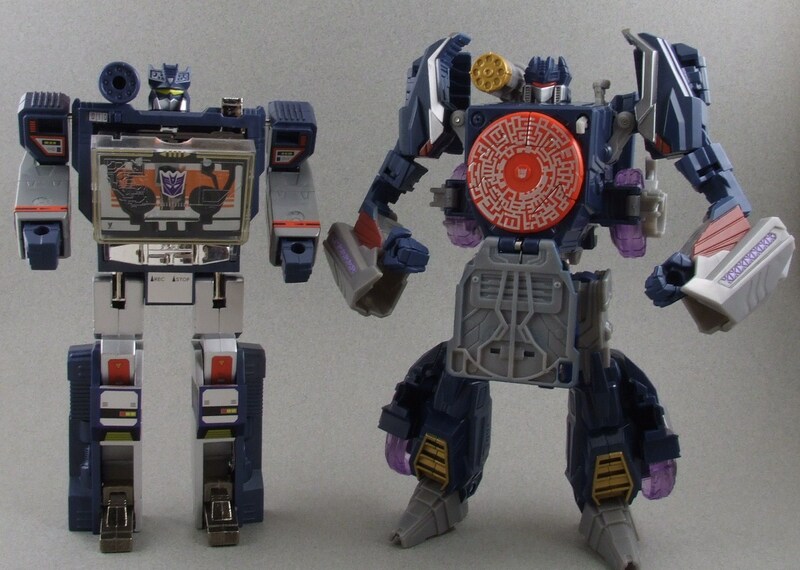 “Soundwave superior … Constructicons inferior.” Soundwave is superior to most, this is pretty much a known fact! 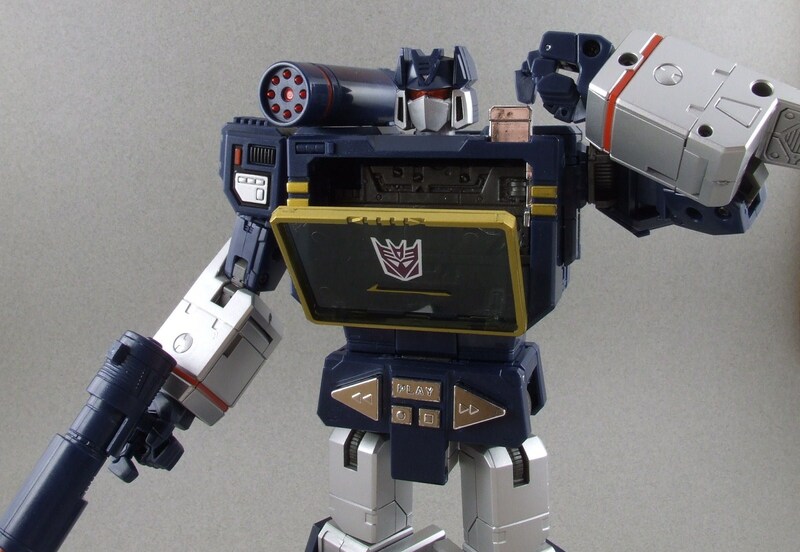 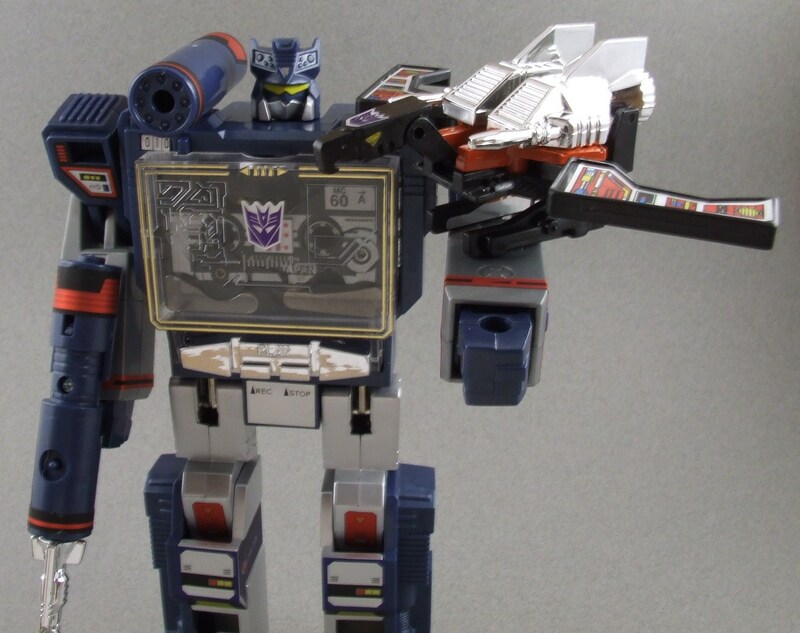 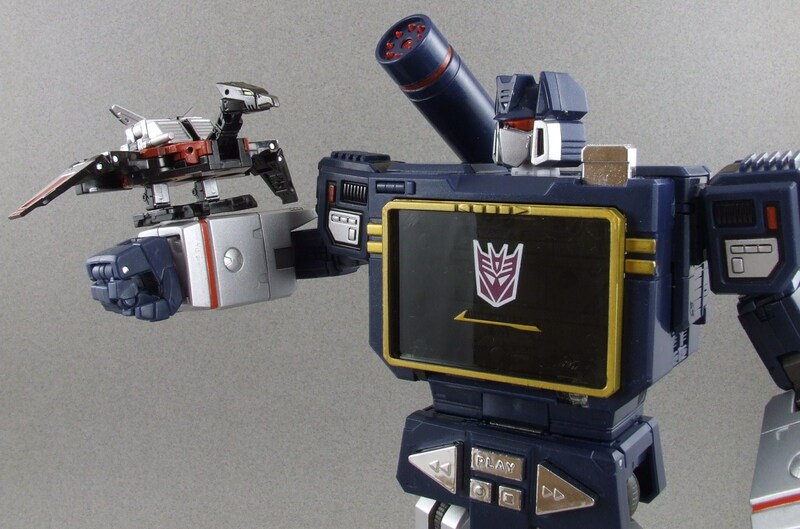 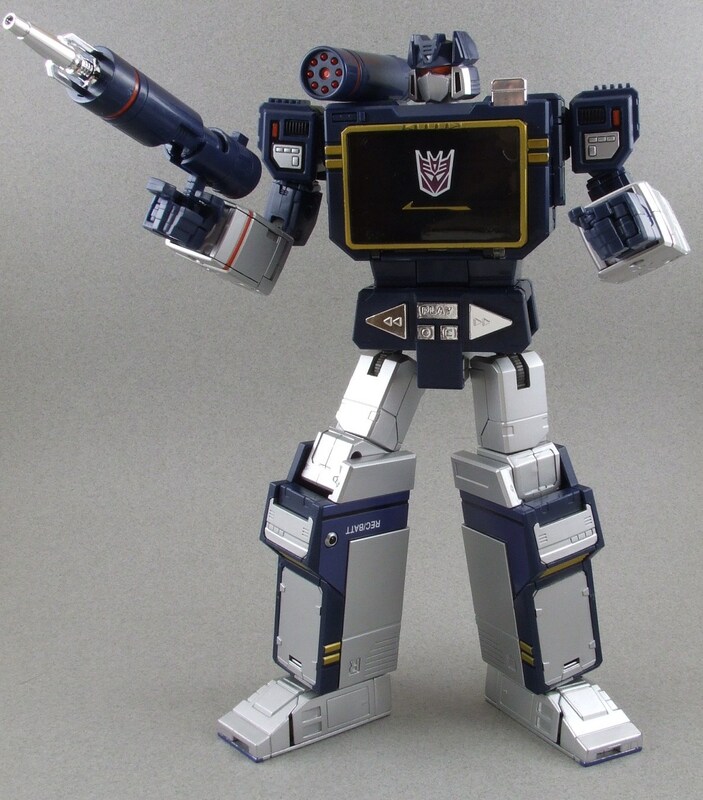 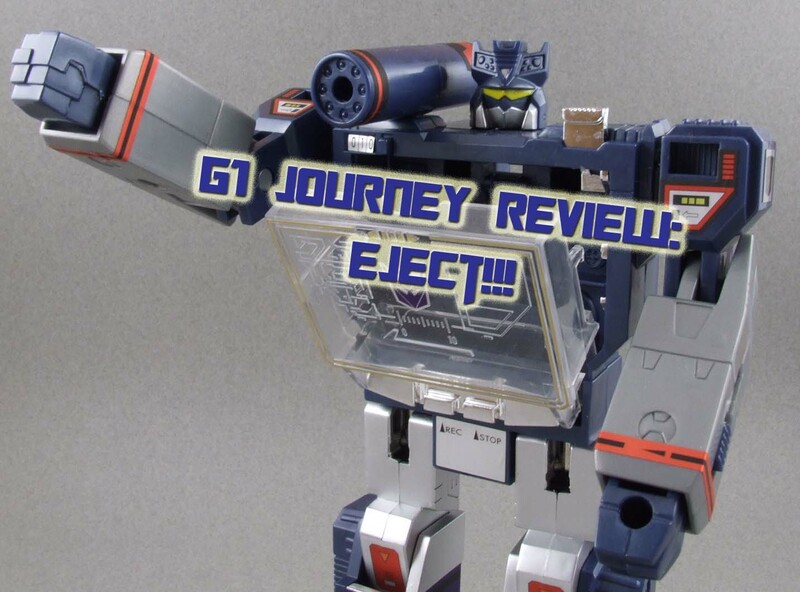 With Takara pumping out home run Masterpiece figures one after the other, it’s time to take a look at the G1 Soundwave toy that is the inspiration to its Masterpiece and maybe the sole reason why so many collectors have Soundwave as their absolute favorite character. 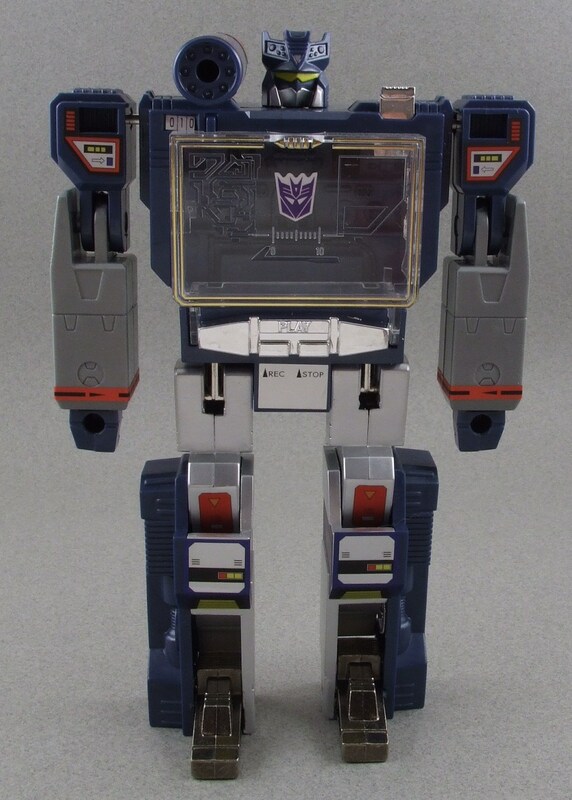 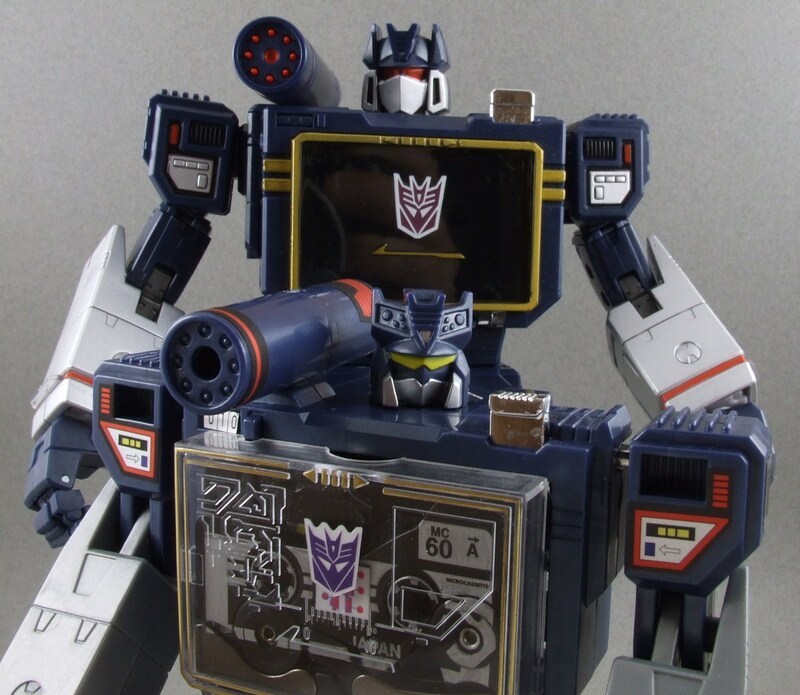 I’ve always LOVED the concept of Soundwave being a microcassette recorder and having his minions stored in his chest. 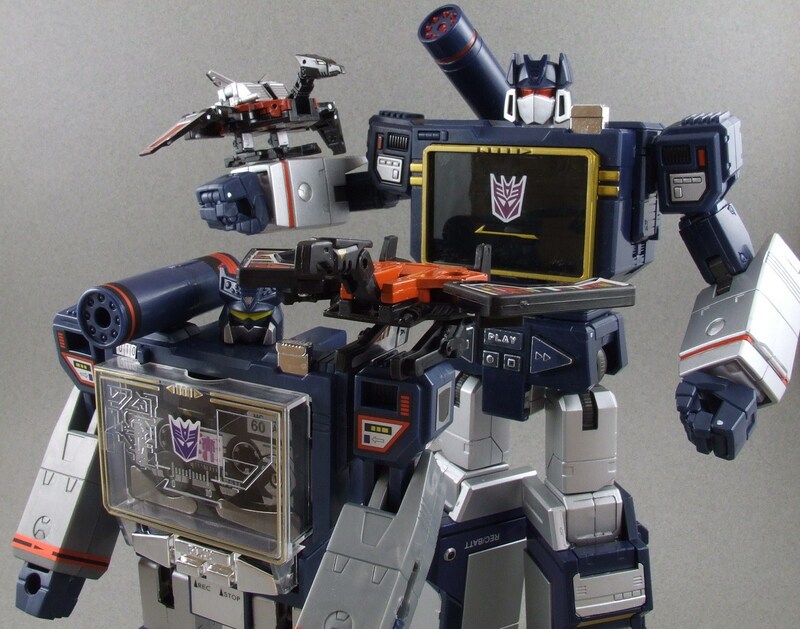 This gimmick is easily one of the coolest to date. 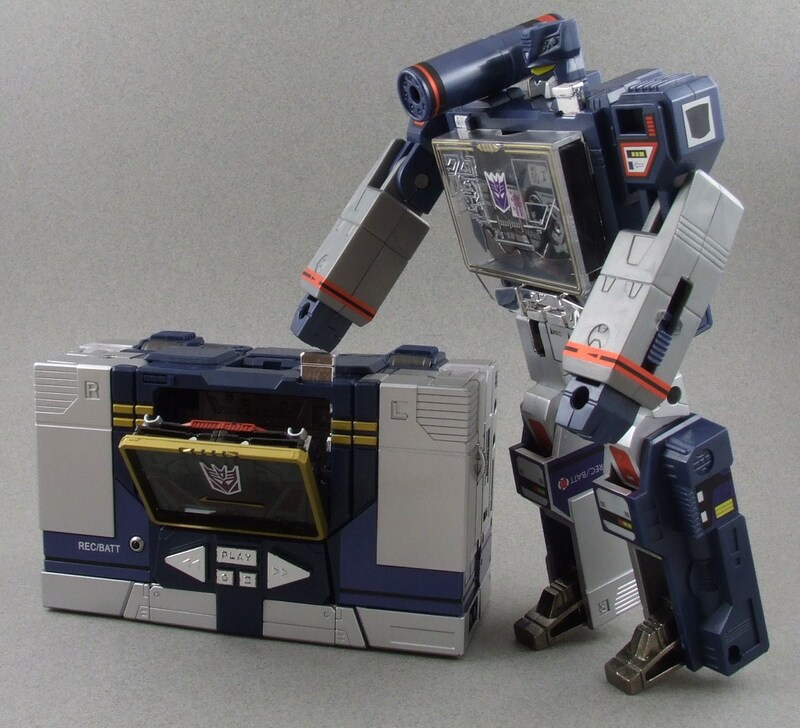 Even before handling Soundwave I know the play value of this figure will be endless due almost entirely to what seems to be the never ending list of cassettes you can purchase. 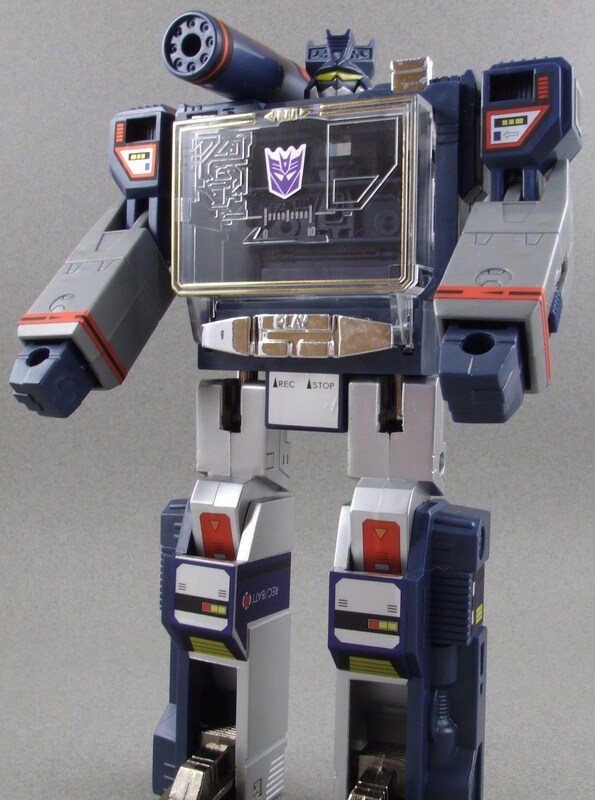 As one of the most important characters in Transformers history, Soundwave will no doubt live up to the hype in his G1 toy form. 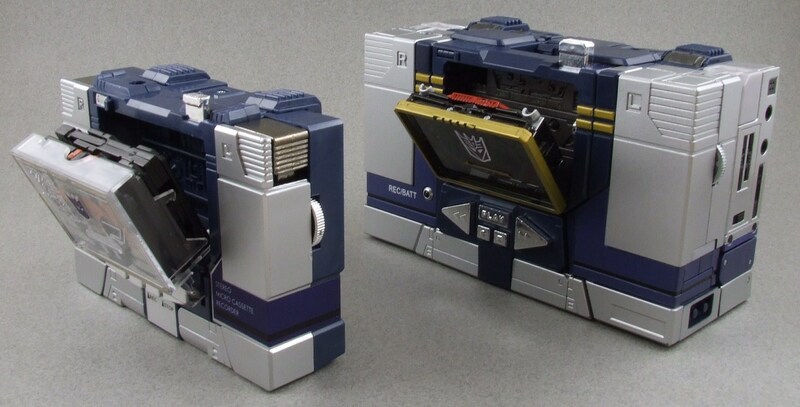 Soundwave’s robot mode is no let down coming from his microcassette recorder alt mode. 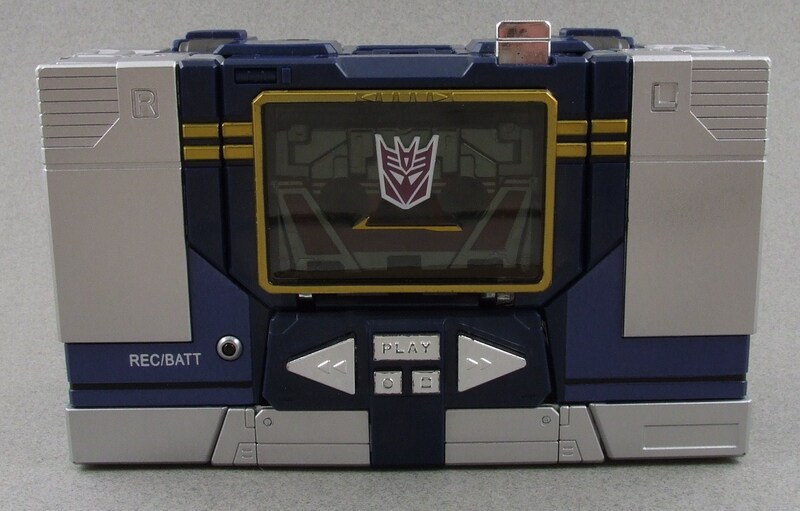 I’ll start by saying I love how Soundwave’s batteries are not wasted. 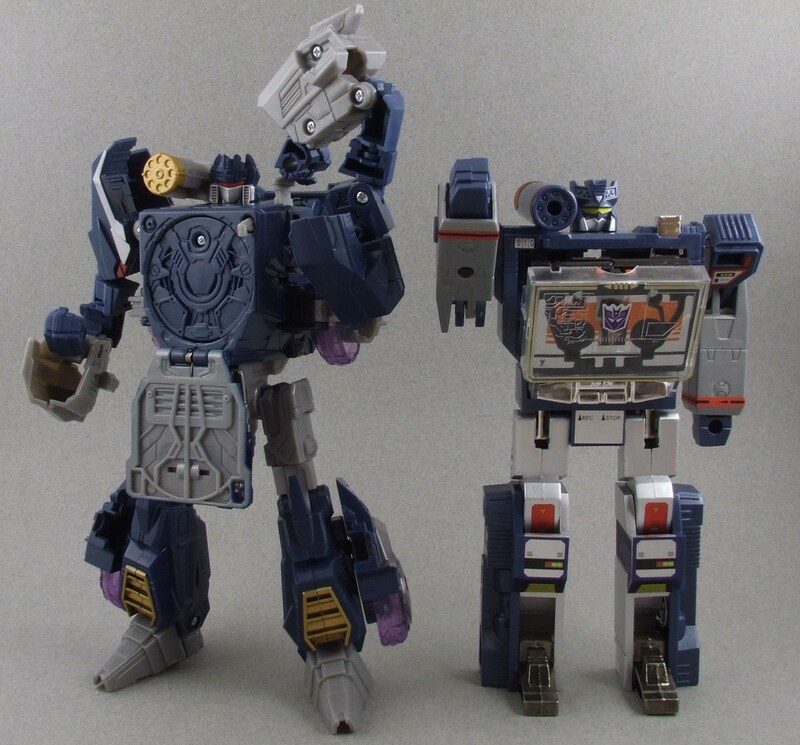 One becomes the iconic shoulder cannon and the other is transformed into a concussion blaster. 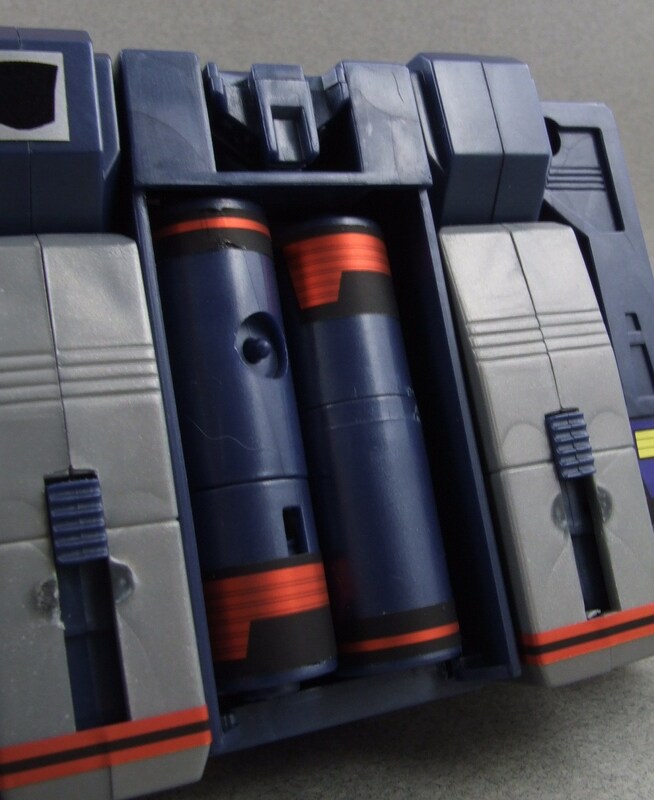 Similar to alt mode, the coolest feature of Soundwave’s robot mode is the opening cassette door. 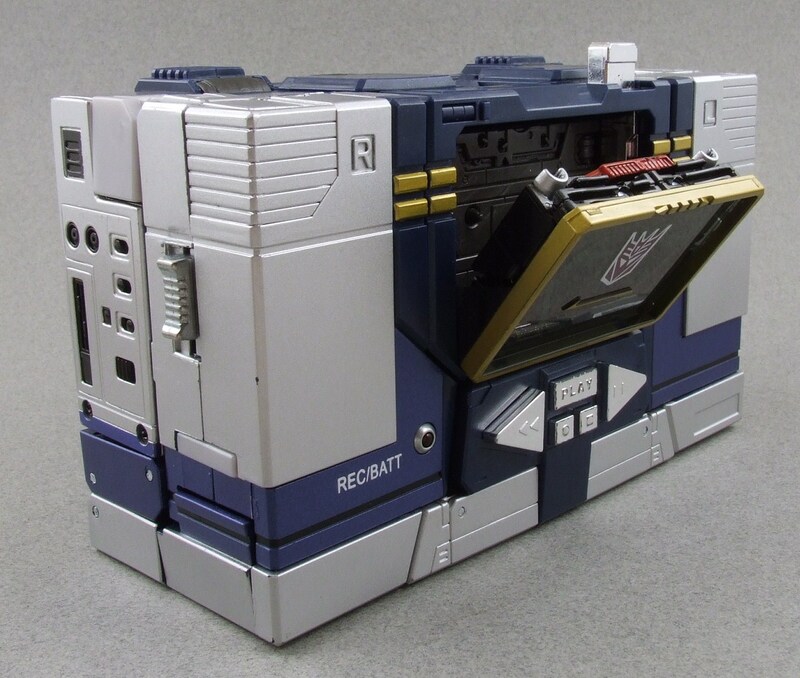 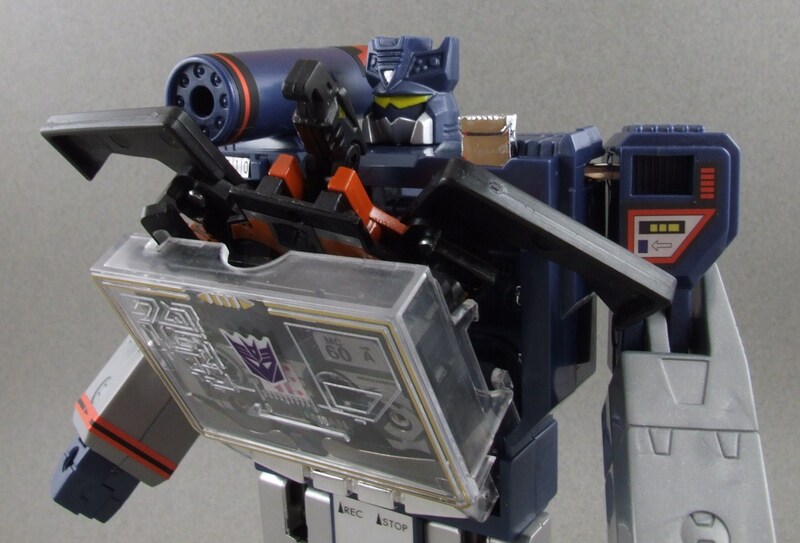 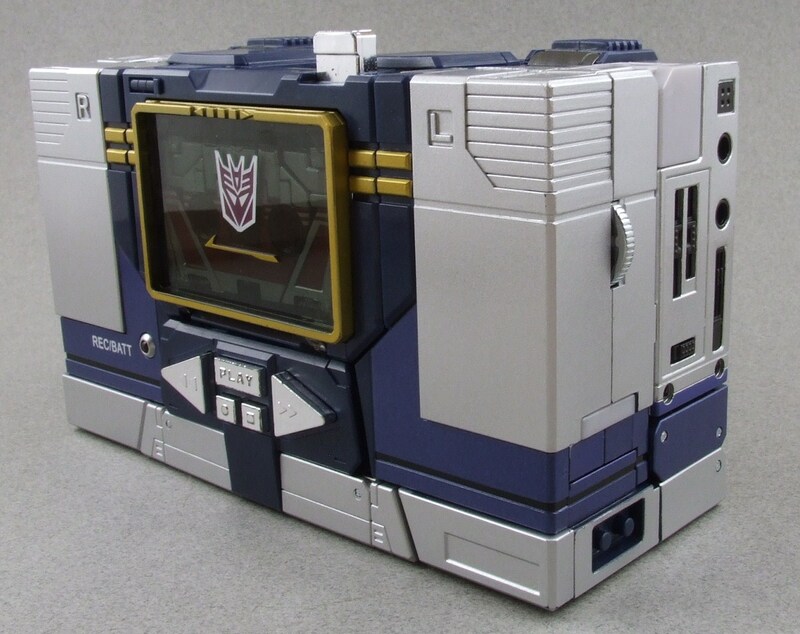 To this day it is still one of the coolest things to see Soundwave release his minions from his cassette door/chest. 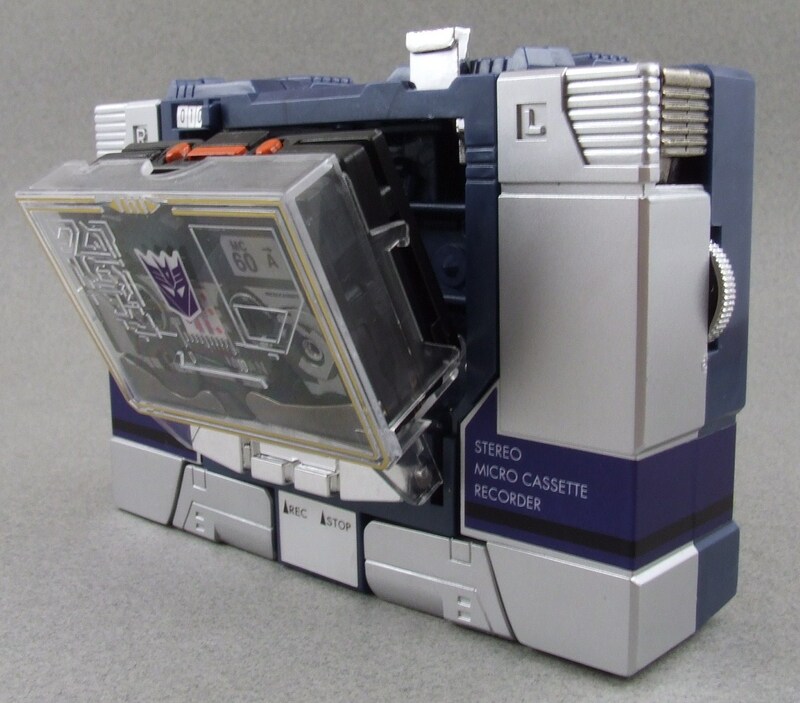 This gimmick is so worthwhile that cassettes are STILL being made for Soundwave even today! 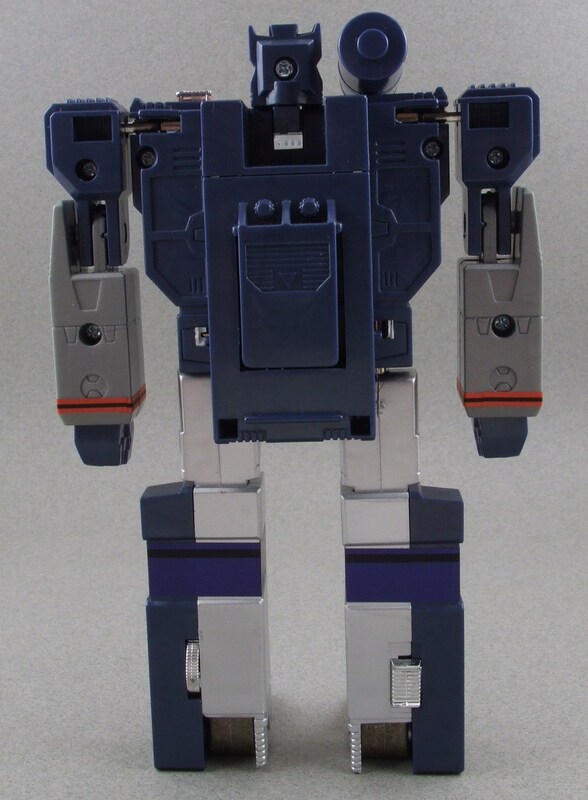 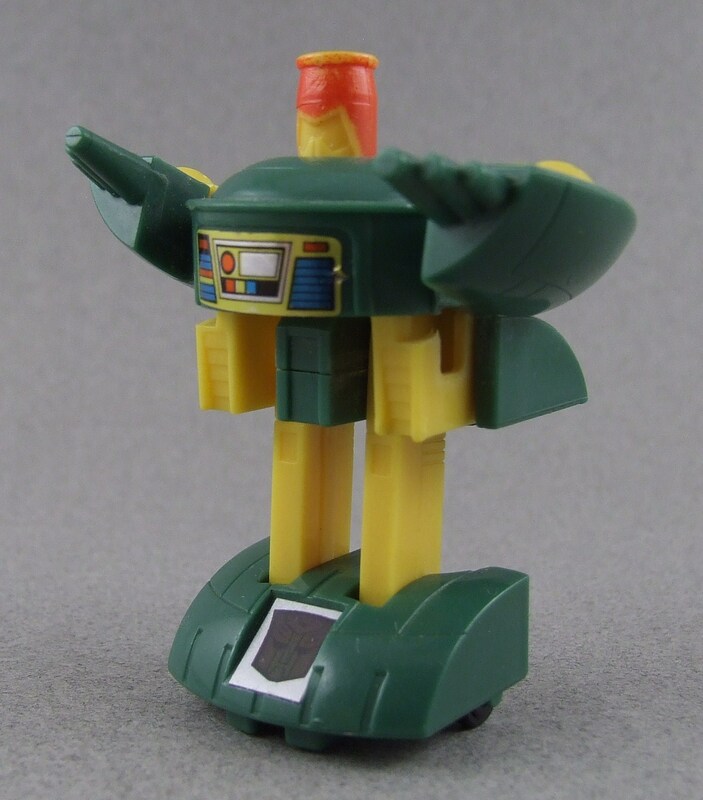 The figure itself stands pretty tall when compared to other G1’s, he’s sturdy with his die-cast feet, has a rotating head (rare among G1 figures) and does a very good job at capturing Soundwave’s stoic personality. 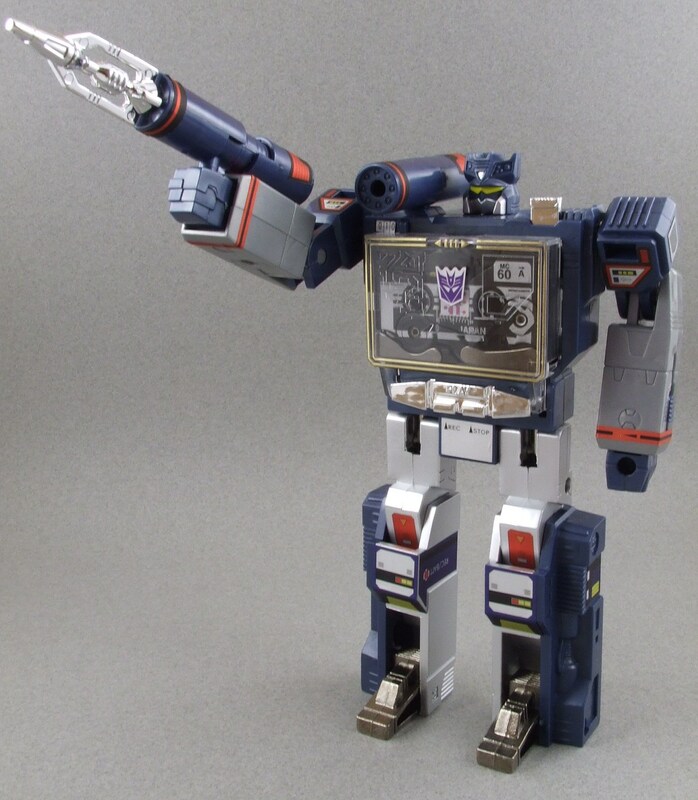 A very unique trait of G1 Soundwave is the lack of articulation doesn’t hurt the figure. 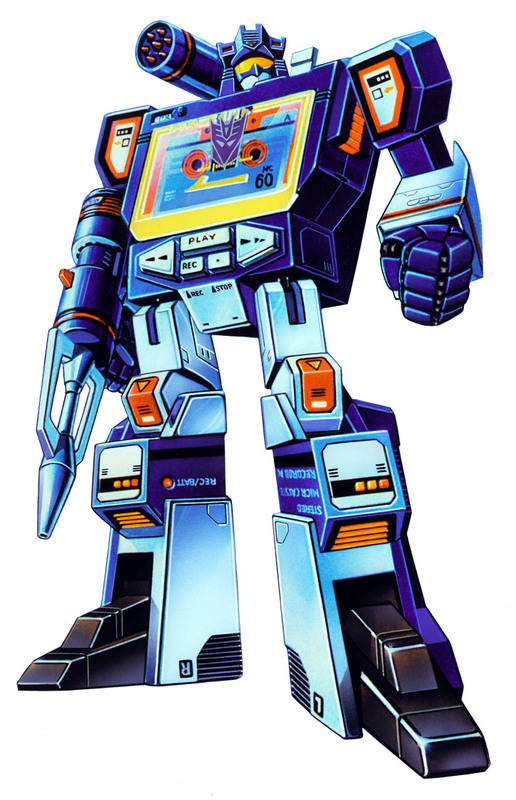 Soundwave was never dynamic in personality so having the ability to just “stand there” really does work. 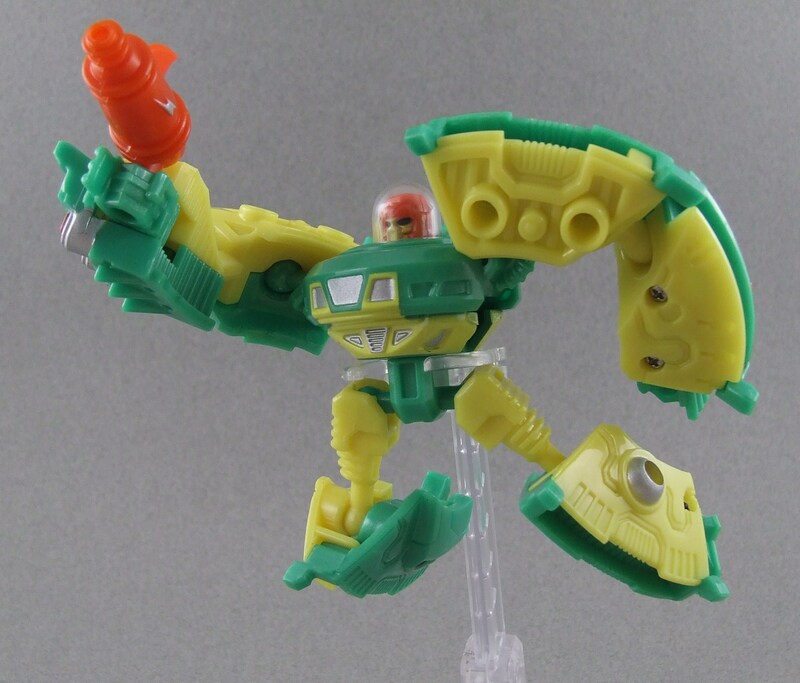 Very fun robot mode! 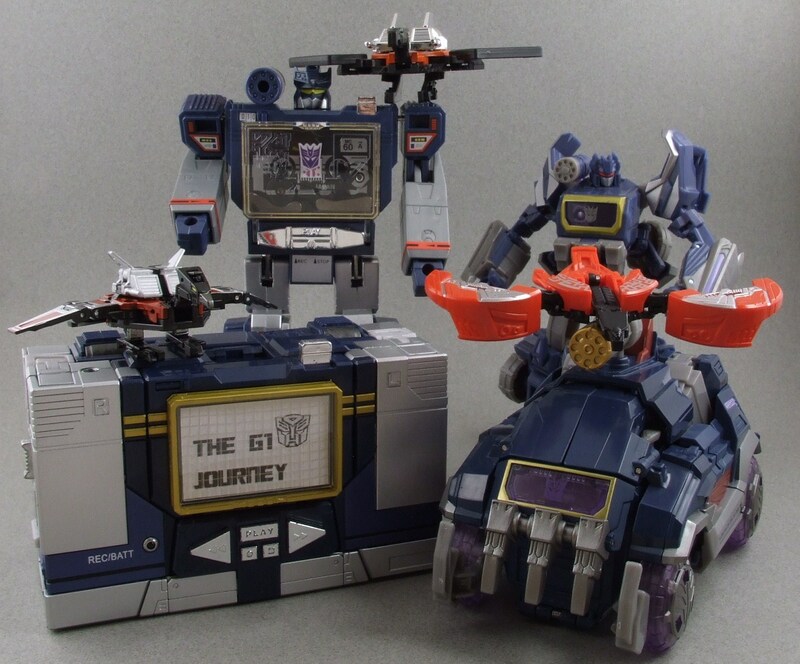 I wish this section of my article would be more complete, but unfortunately I do not have a Music Label Soundwave, which by many collector’s standards is a great Classics update to Soundwave. 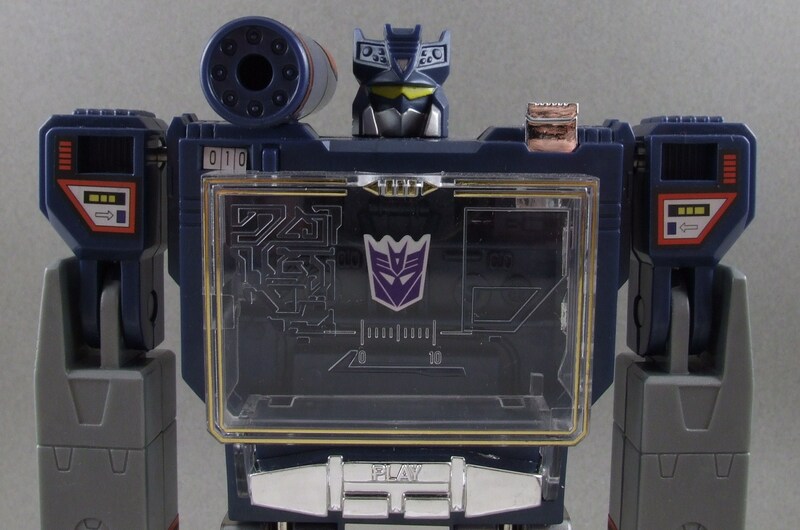 Regardless, I have a great selection of updated Soundwaves to convey the Evolution of this character … included the freshly released Masterpiece from Takara! 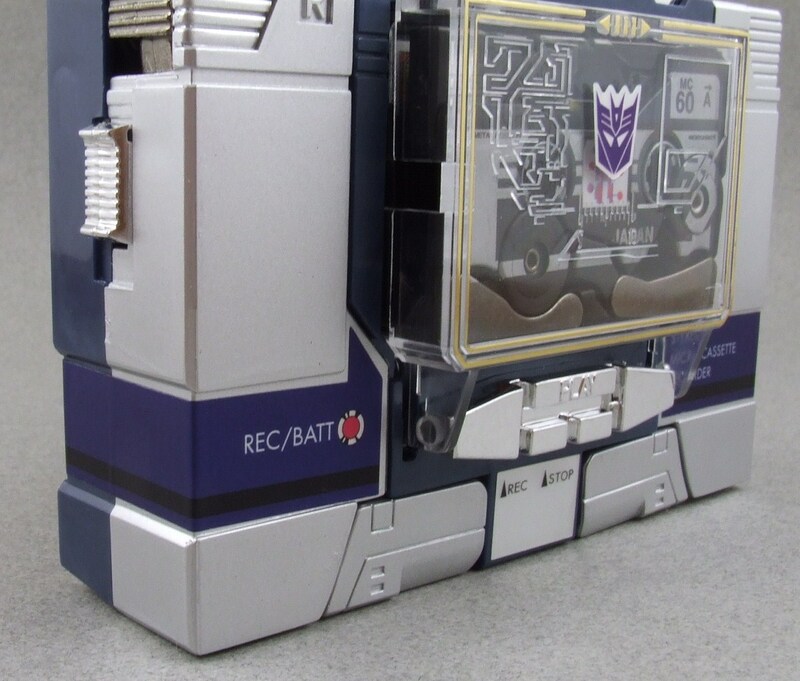 I’ll start and mostly focus on the Masterpiece figure first because of course, it’s brilliant. 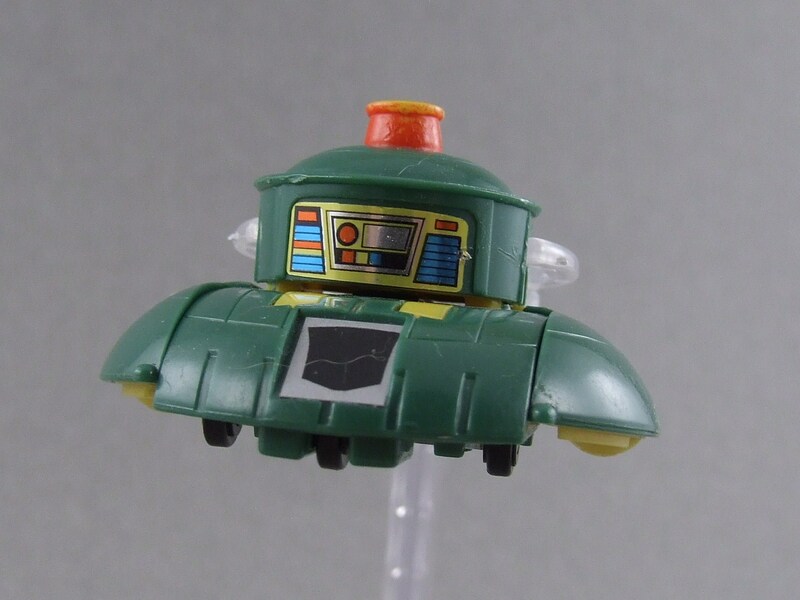 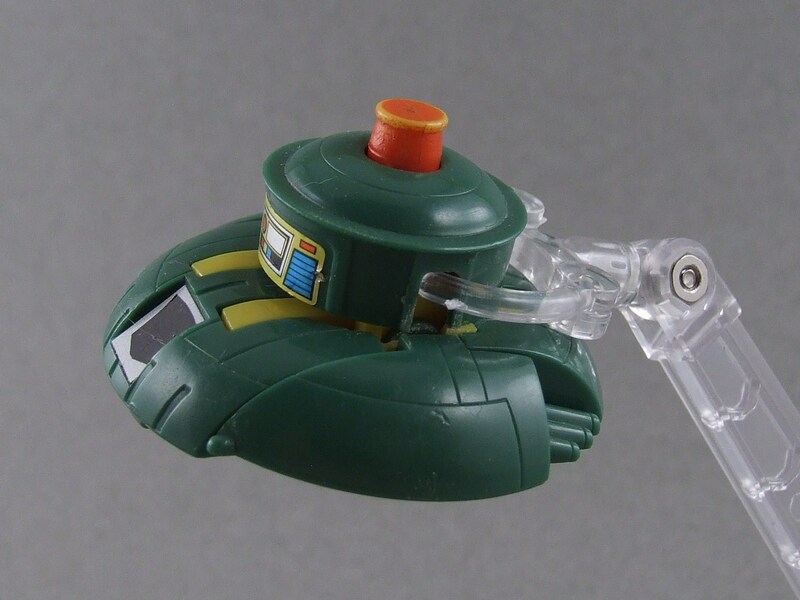 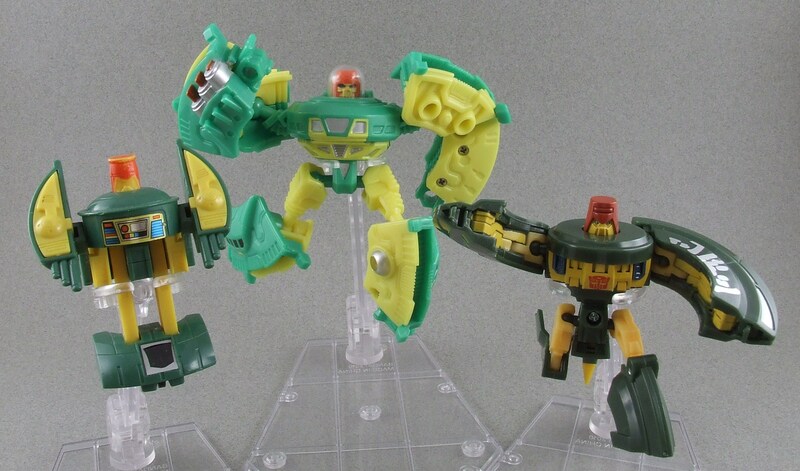 This new Takara line is giving collectors and fans the G1 figures we’ve always wanted: articulated, well engineered, and stunning versions of the characters we all saw in the cartoon series. 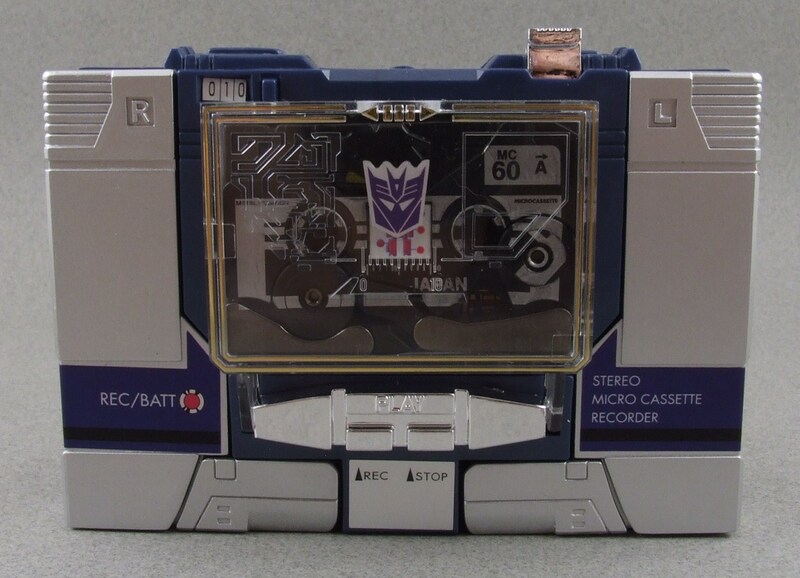 MP Soundwave does a fantastic job at staying very realistic as a microcassette recorder with all of the bells and whistles while delivering a near perfect robot mode. 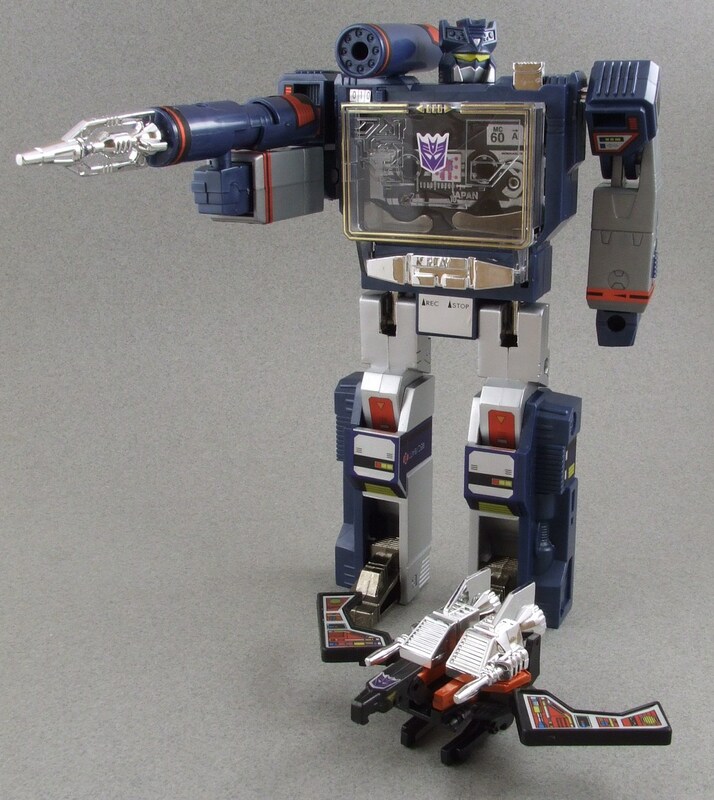 Additionally, MP Soundwave does what even the G1 couldn’t: press his own eject button! 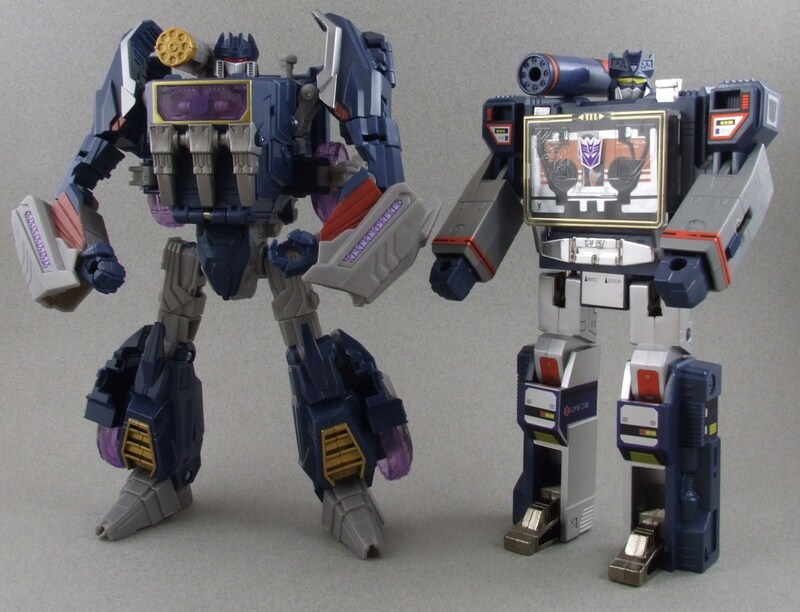 Fans dreams have become reality! 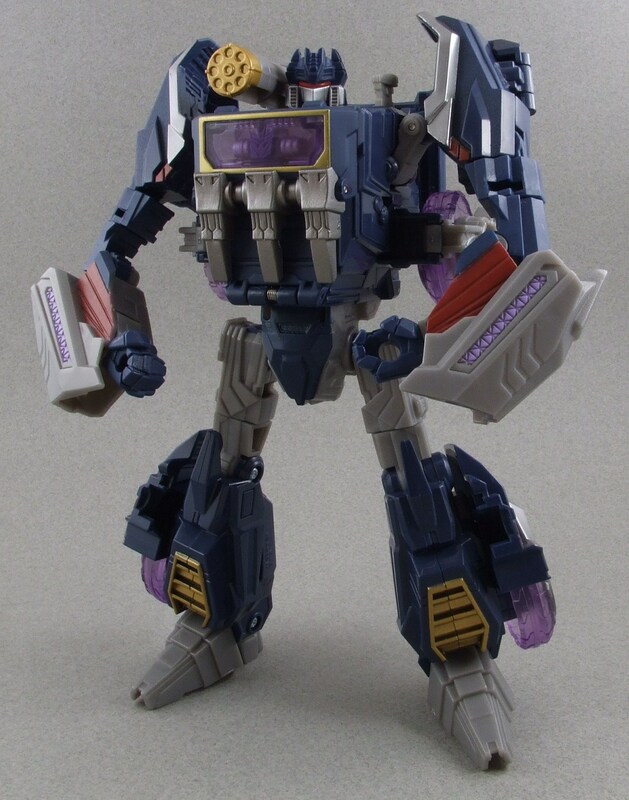 The other figure I think is a great update (or is it pre-update?) 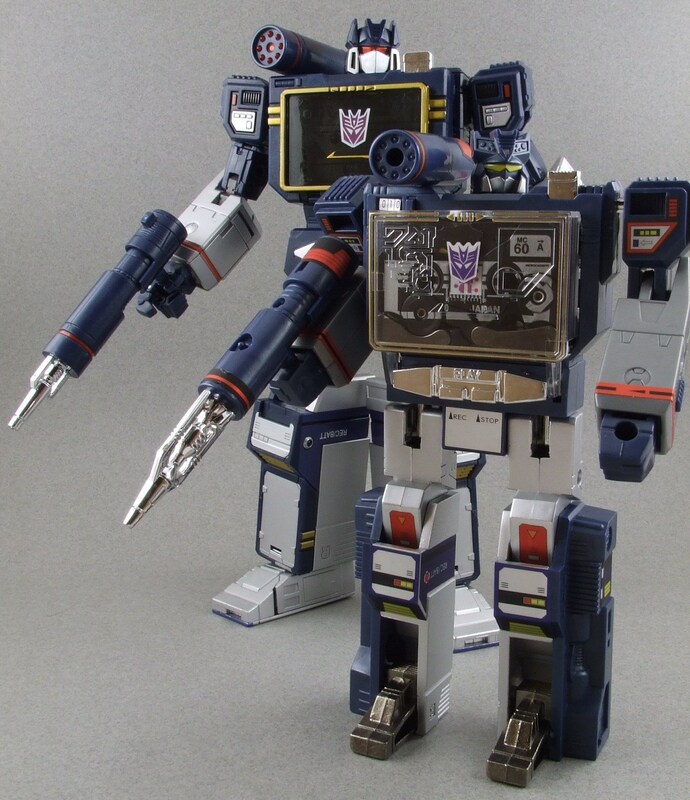 is the recently released Fall of Cybertron Soundwave with “Data-disks.” I suppose this figure is even before his microcassette recorder alt mode, but it can still be used a Classics update. 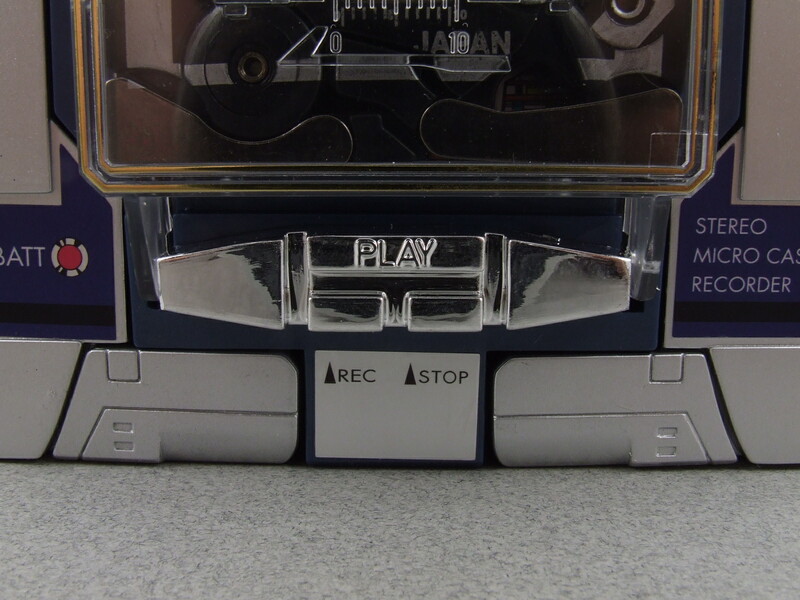 I enjoy this figure because it includes the “tape/eject” gimmick that belongs in every Soundwave figure. 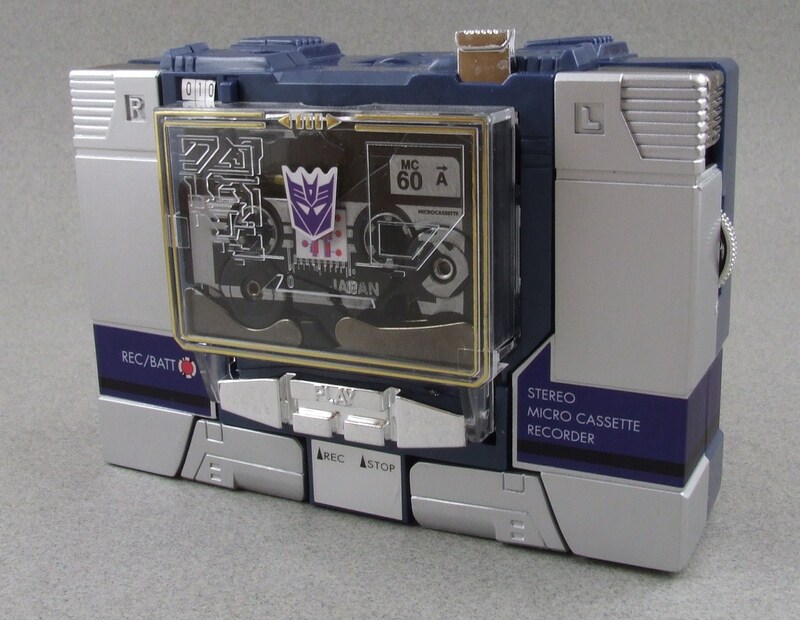 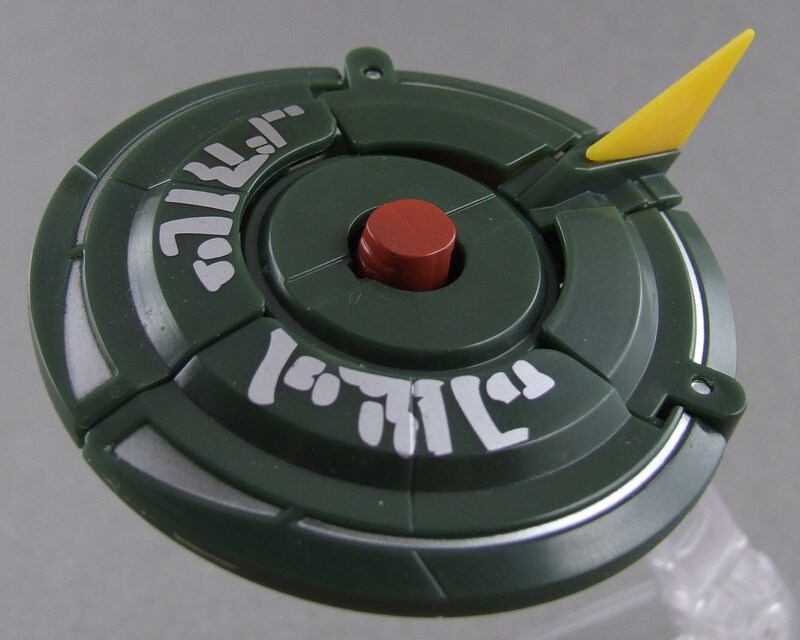 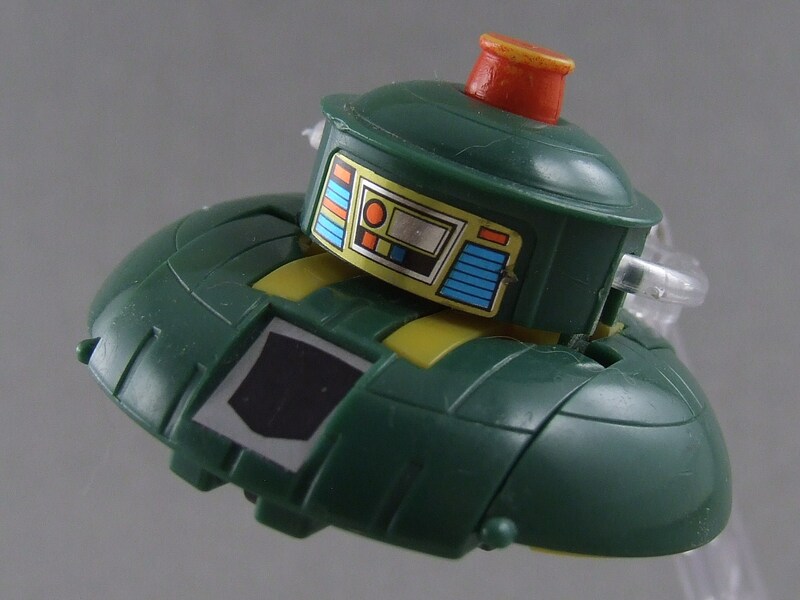 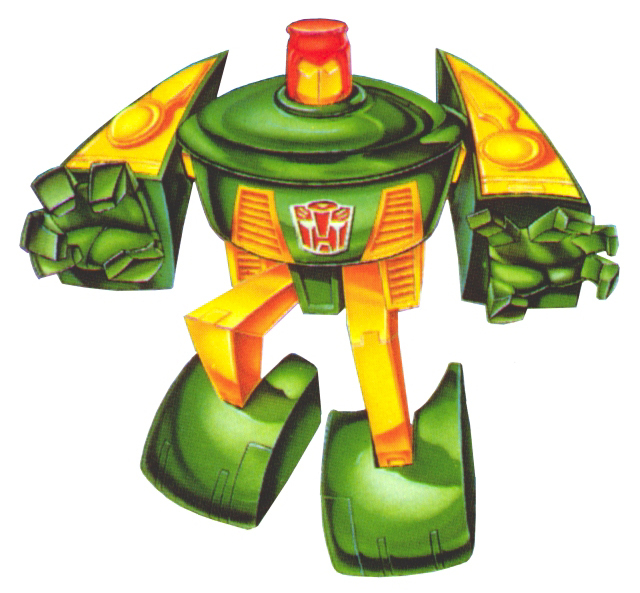 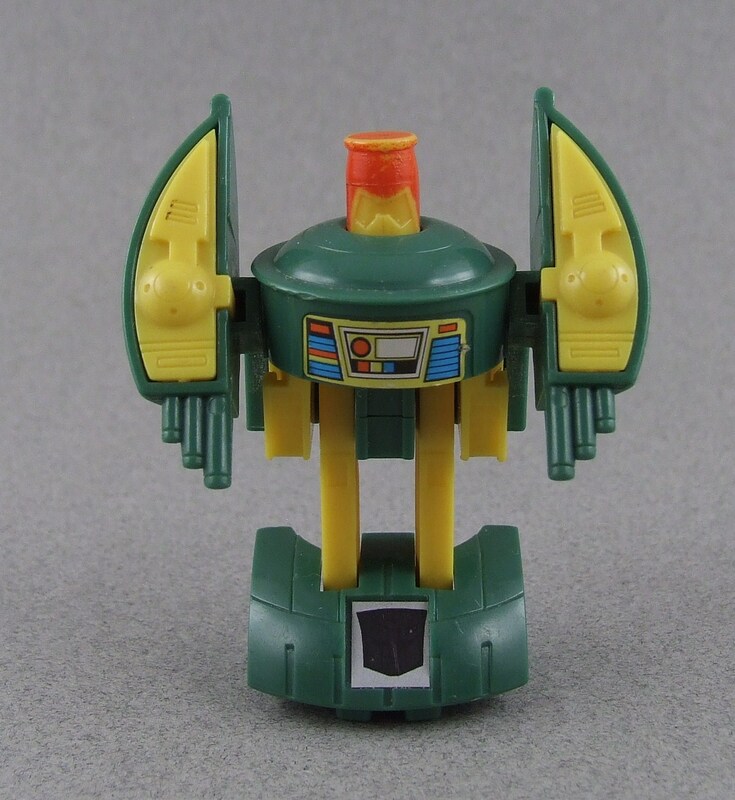 Using round “data-disks” instead of cassettes, minions like Lazerbeak and Ravage can be stored in Soundwave’s chest and ejected. 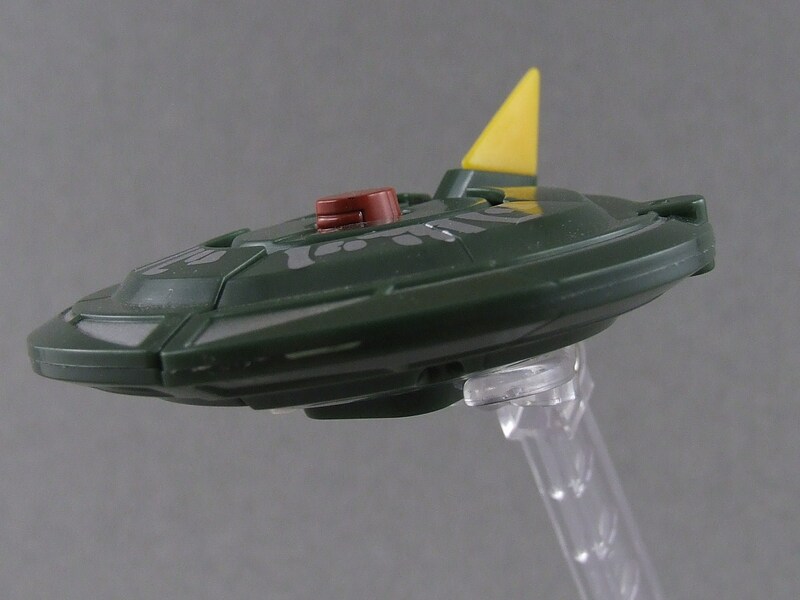 It’s a really fun and imaginative gimmick that works pretty well. 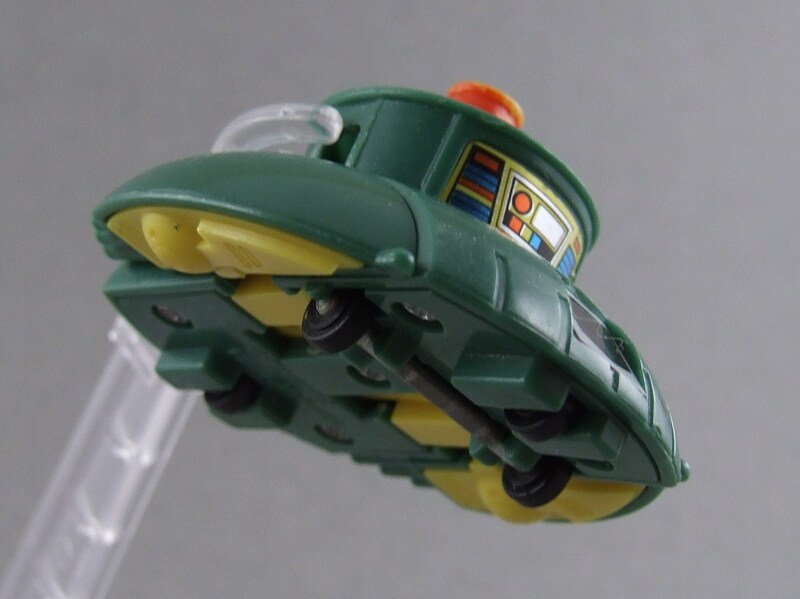 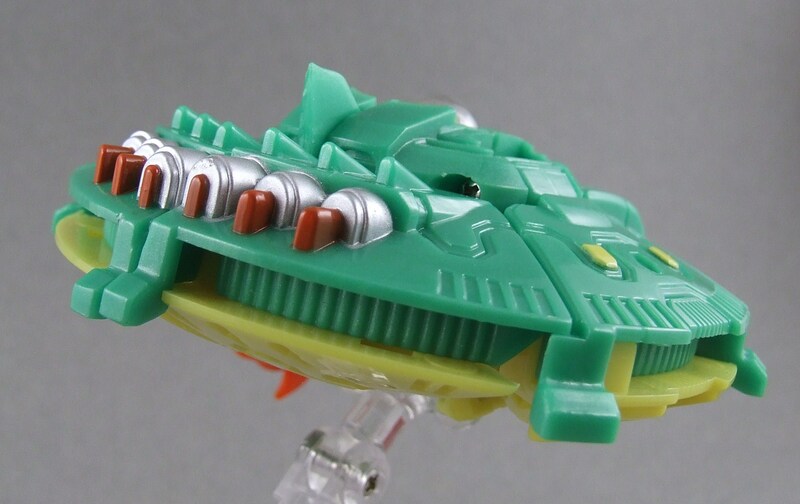 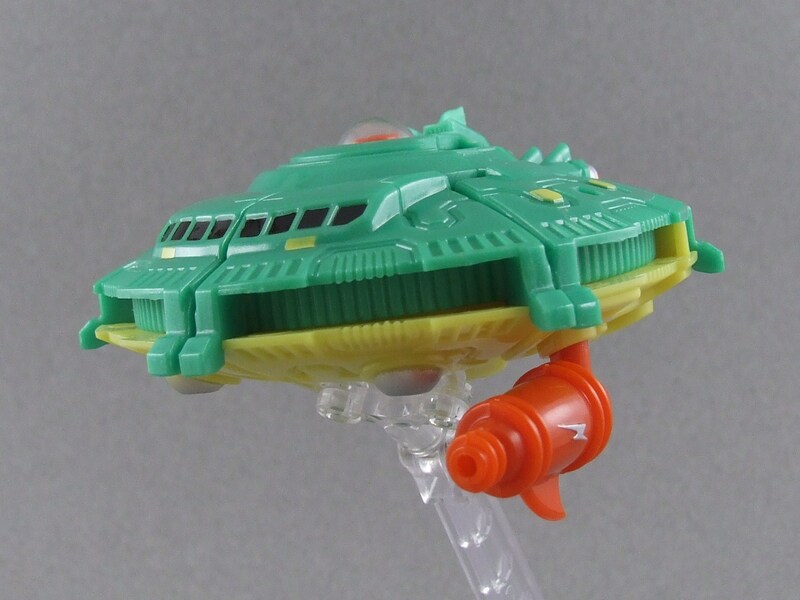 The biggest downfall is his alt mode, which is a Cybertronian vehicle of sorts. 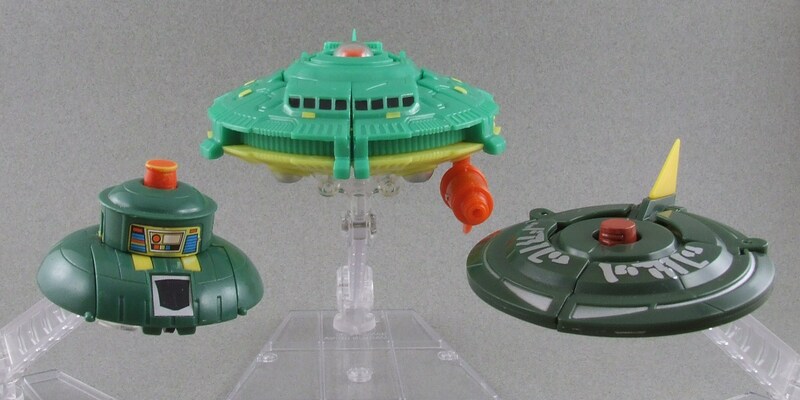 It’s definitely not as cool as the Generation 1 version, but good enough in my opinion for a Classics collection. 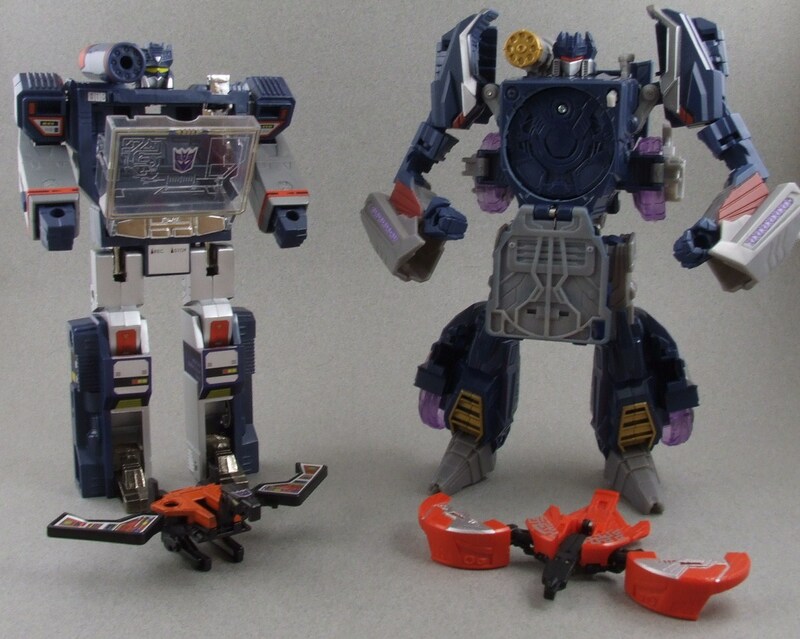 Check out the pictures below to see the Evolution from G1 to now. 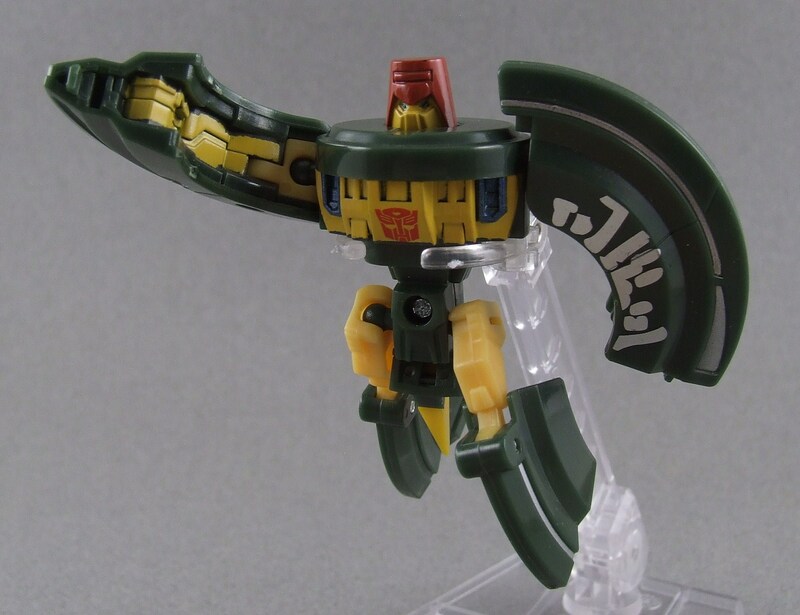 Love, love, love this figure! 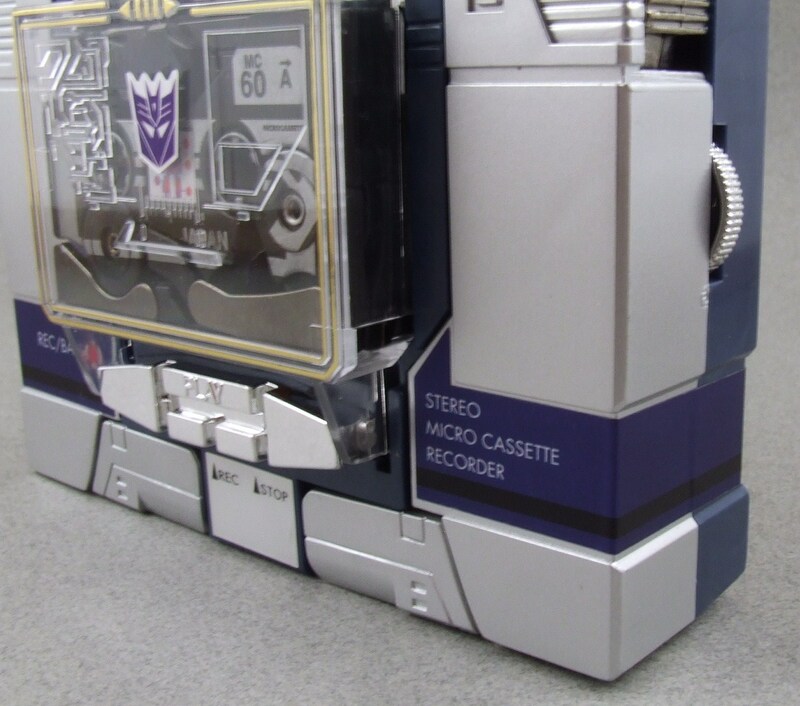 Soundwave is kind of a timeless figure as there seems to be a never ending supply of cassettes you can collect for him to use. 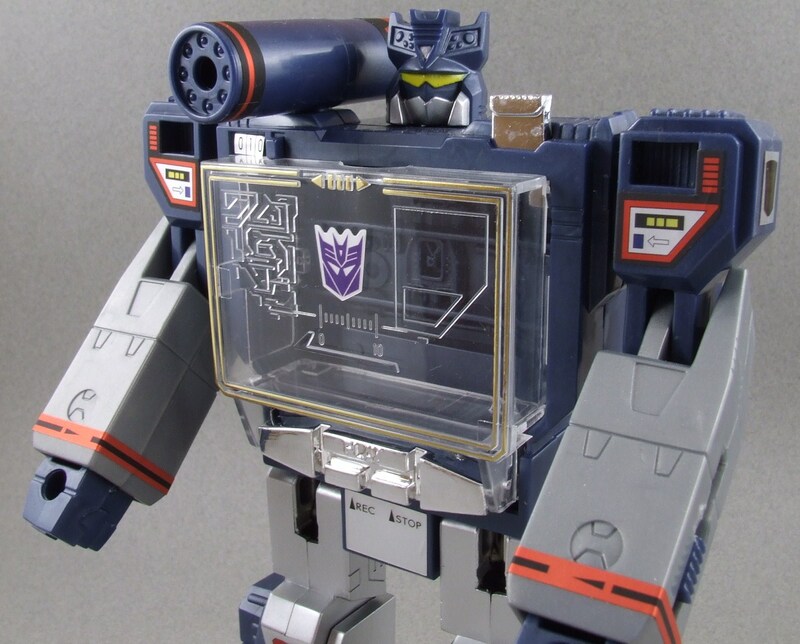 That, in my opinion, makes Soundwave a really cool commodity to keep in your collection. 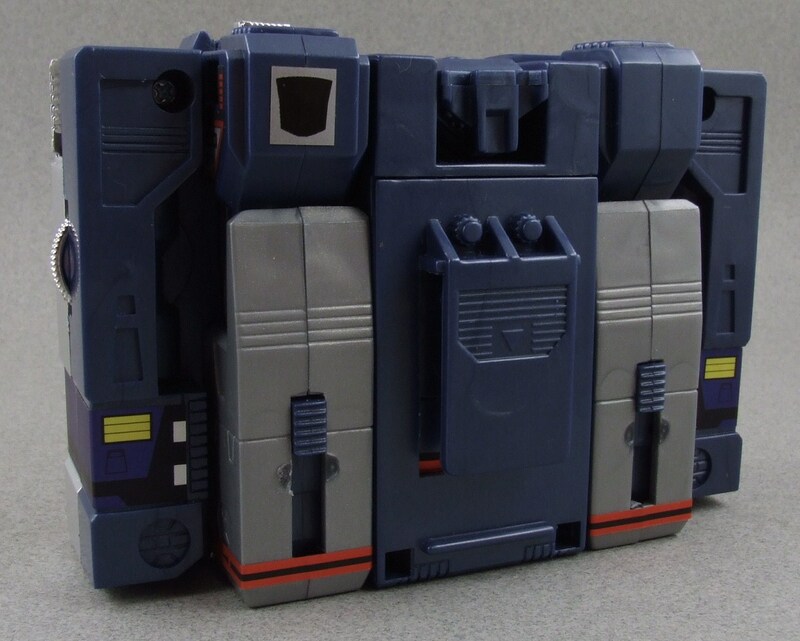 As a “Hall of Fame” character, the literal face of the Decepticons, I think it’s really great that Soundwave has kept so much from his G1 form. 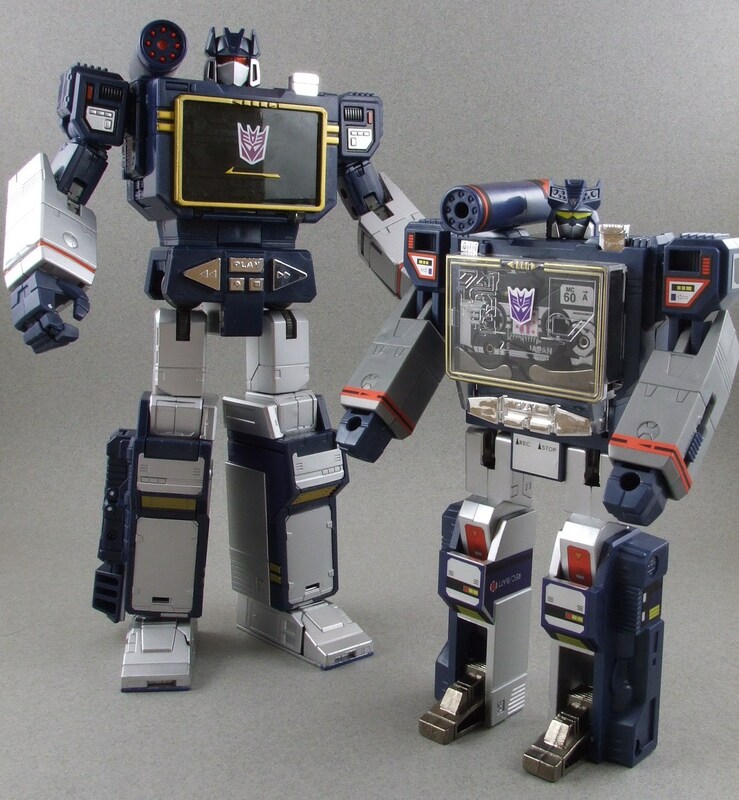 Although it would be neat to see him updated as an iPod player (or something newer than a “tape deck”) I think it’s pretty awesome that Soundwave is still just as friggen cool when he’s an outdated piece of technology. 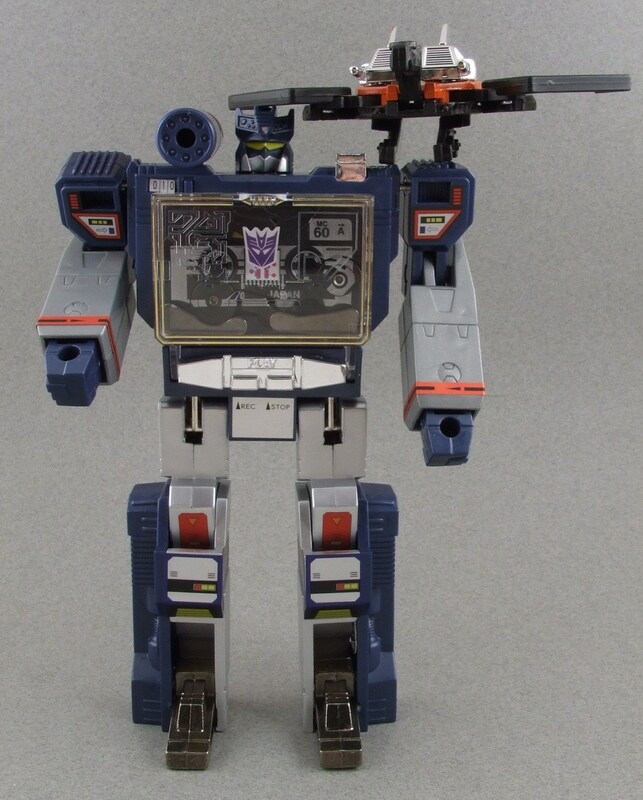 The G1 toy can compete with a lot of modern day figures and that makes it special beyond words.